It’s no more sanitary than a human sprinkling spoonfuls of toilet water across the floor. Except it doesn’t just go on the floor. Your cat carries it in their paws across the tiles, over the hardwood floor, onto the sofa, and in between the sheets. Sometimes it makes you afraid to go barefoot in your own home. Touching down on a pile of cat litter is the cat parent’s equivalent to stepping on LEGOs in the middle of the night. When you share your home with a cat and their uniquely feline bathroom habits, a great cat litter mat is an indispensable tool. A high-sided box and heavy cat litter can help to minimize tracking and scattering. A few minutes of sweeping will keep things looking fresh for an hour or two. But there’s no substitute for a good litter mat. A great litter mat is the most reliable way to capture litter before it skitters and sprinkles through your house. 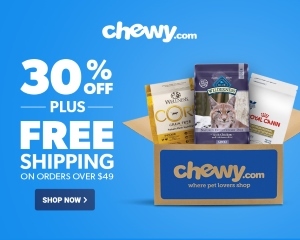 The best litter mats capture the granules trapped between your cat’s toes along with any litter tossed over the edge of the box. Instead of hunching around the litter box with a broom or hand vac, you can fold over the mat and dump litter into the trash. And yes, you might find these qualities in a standard kitchen rug, but there’s one feature of a great litter mat that you won’t find in just any rug. If your cat has an accident, a great cat litter mat will spare your floor from the mess, keeping it dry and preventing persistent odors. The best cat litter mats capture moisture without becoming soggy and control odors while they’re at it. You know that cat litter isn’t the only thing that’s flying over the edge of your cat’s litter box. When your cat “goes” over the edge, a great litter mat is there to catch the stream. If you use a traditional bath mat, this will leave you with a stinky, soggy mess, and you might even find some urine on your floor. Look for a mat made with rubberized materials that capture moisture and control odors. Some litter mats are made exclusively from microfiber or absorbent materials and aren’t that great at stopping smells. The best cat litter mats are easy to clean. If you wanted to spend all day cleaning up the litter box area, you wouldn’t get a litter mat. 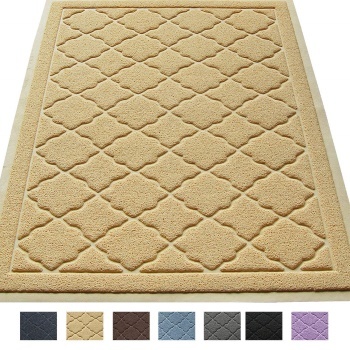 Choose one with grooves or spouts that make it easy to pour litter out of the rug and back into the box or in the trash. The best cat litter mats are also safe for machine washing or hosing off outdoors. Of course, every great litter mat does an excellent job of capturing litter. Litter mats capture litter granules in a variety of ways. Some have ridged surfaces. Some have pockets and holes. Others are made with unique textures that grab the litter straight out of your cat’s paws. Customer reviews will tell you a lot about the capture capacity of the litter mat in question. Always choose litter mats that are well-constructed and which will serve you for years. Pick the weightiest, strongest litter mat you can find. You need a mat that will hold up to your cat’s claws. It must also be heavy enough to not slip around when cats or people walk across it. Litter mats made from PVC are usually the most durable, but remember that PVC is slightly less comfortable than other materials. This litter mat has two layers. The top layer features a honeycomb pattern of large holes that capture litter. Once the litter drops through the holes, it’s stored there until you’re ready to pour it out. The two layers are attached on only one side. It opens like a book for regular cleaning and makes it easy to pour litter back into the box or the trash can. If your cat has a tendency to overshoot the litter box, this litter mat might be what you need. While the top layer is made from a soft, gentle material, the bottom layer is plastic. Thanks to the water-resistant bottom layer, you won’t have to worry about odors and liquids seeping down to the floor. If your cat has a serious problem with “going” right outside of the litter box, you might choose to slip a puppy pad between the two layers of the mat. Cleaning is easy. For usual litter messes, you can pour out the litter or vacuum it up. But when the mess goes beyond the mundane, you can wash the mat with soap and water before hanging it up to air dry. Out of all the mats on this list, the Easyology Premium cat litter mat looks the most like a standard kitchen rug. With five color options, it suits a variety of home decor schemes. Under magnification, the PVC material of this mat resembles twisted patches of dry ramen noodles. As your cat walks over the mat, the patented groove design captures the litter until you’re ready to dispose of it. According to the company, the mat’s patented design allows it to capture up to 37% more litter than other mats on the market. Over 6,000 customer reviews and a 4.5 out of 5 star rating on Amazon suggest that the Easyology mat is as good as the marketing says. A Wirecutter review selected this cat litter mat as the best on the market, praising its superior comfort, easy vacuuming, and non-slip grip. 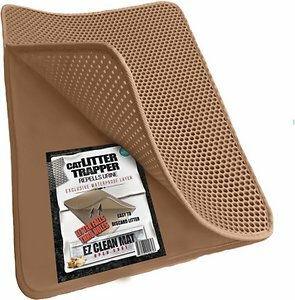 This cat litter mat is made from soft, flexible rubber and has a patented honeycomb design. 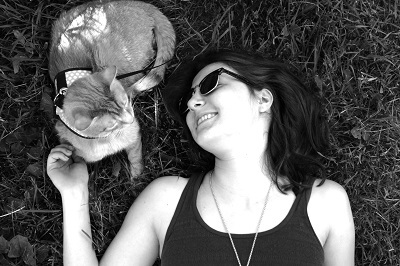 It specifically targets the litter that’s trapped in your cat’s paws. As your cat walks over the mat, it spreads their paws open, releasing the litter into the holes. The litter remains trapped there until you’re ready to pour it out. Some reviewers mention that the flexibility of the mat makes dumping litter a challenge—the mat has too much drape for a smooth pour. 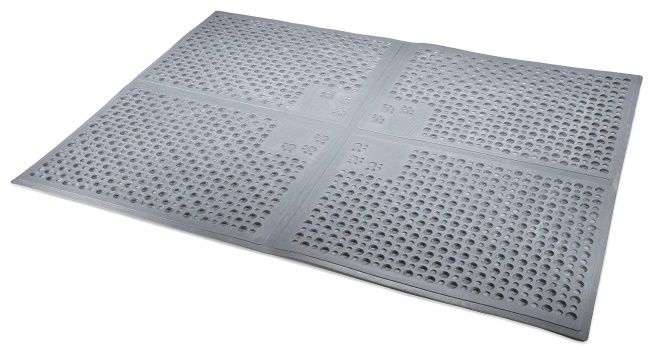 The rubber material of this mat makes it flexible and helps it to remain in place on the floor. It’s also waterproof and easy to clean with soap and water, making it a good choice for cats who tend to go over the edge of the litter box. In contrast to the soft textures of the other cat litter mats on the list, this mat from PetFusion is made from firm silicone. The design features ridges and grooves that capture litter from your cat’s paws as well as any litter scattered out of the box. Raised edges ensure that the litter remains in place until you’re ready to pour it off the mat. Unlike the honeycomb-style mats on this list, the PetFusion mat does little to hide litter. The granules sit in plain sight in the recessed segments of the mat. Because it’s made from waterproof and antimicrobial silicone, the litter mat is perfect for cats who tend to miss the litter box. It’s easy to clean up wet messes with soap and water or touch up with a broom or vacuum. 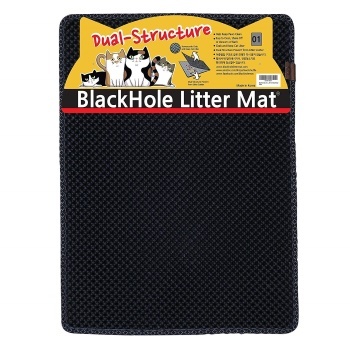 With its two-layer honeycomb design, the Moonshuttle Blackhole litter mat looks and works a lot like the iPrimio mat listed as our top pick. Captured litter virtually disappears after slipping into the “black holes” created by the top layer, then remain in the litter pocket until you’re ready to pour it out. Because it’s only sealed on two sides, the mat forms a tube when lifted, allowing you to smoothly pour out the litter. The top layer is made from a soft EVA foam material, which is comfortable under your cat’s paws. 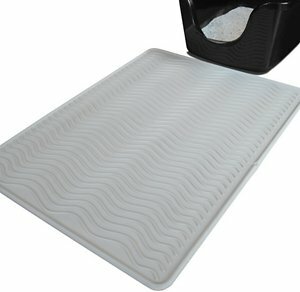 Unlike the iPrimio mat, however, this litter mat doesn’t have a waterproof bottom. If you’re concerned about soggy messes, you can slip a puppy pad into the litter pocket for added protection. Because this mat is soft and lightweight, it has a tendency to shift during use.